The HAUNTED album launches at the Spring Hill Reservoir on May 19 and May 26 were smashing successes. The crowd and the critics couldn’t have been any happier, and the energy in the room was fantastic as all ten songs from the album were performed. The reviews were great, and AussieTheatre.com expressed hope that the HAUNTED success didn’t mean the end of Ana in musical theatre. In the end, the performances were a wonderful celebration of a long and fulfilling journey. Radio Play: HAUNTED made the ABC612 Album of the Week, with Steve Austin. The very first RADIO PLAY! The official album launch of HAUNTED will be on May 19 at the Spring Hill Reservoir in Brisbane. The evening promises to be a fantastic night out. All 10 songs will be performed, and there will be a CD signing alongside a great wine bar! The concert on the 26th will also include performances of other favourite songs in addition to the entire album. Don’t miss these two shows. 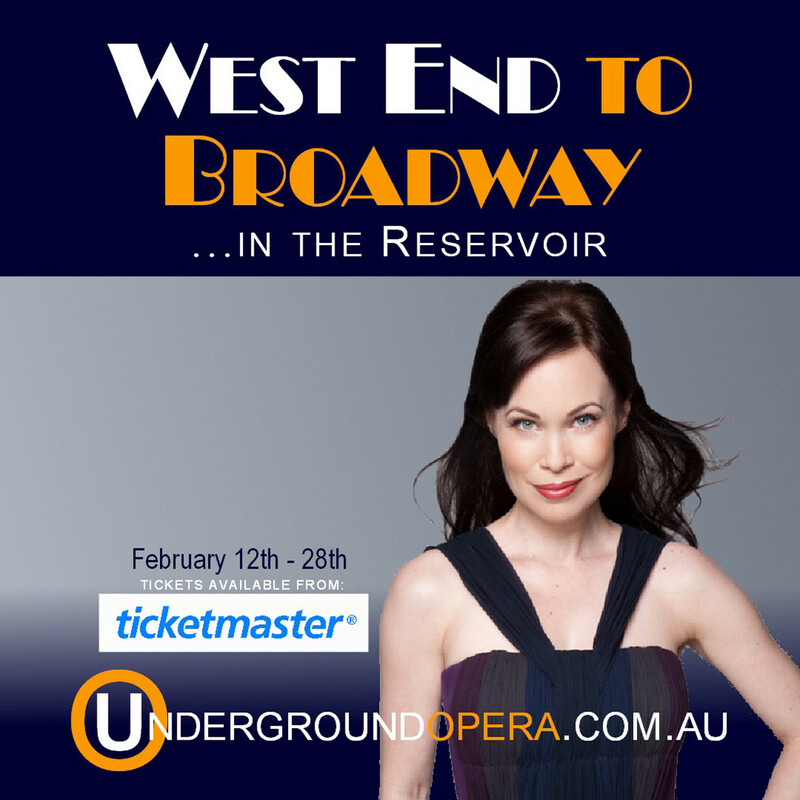 Ana Marina will be performing in the Underground Opera Company’s concert season, “West End to Broadway” at the Spring Hill Reservoir in Brisbane, Feb 12-29. The show will feature a number of songs from some of the most famous musicals to ever open in London and New York, including West Side Story, Les Miserables, The Phantom of the Opera and many more. Come along to this unique venue for some intimate entertainment. As the album release creeps up, it was time for the photo shoot with Lix North at Lix Creative. We took a million pictures, including a few with the fabulous Lulu. The session was great, and we started to create the vibe for HAUNTED. 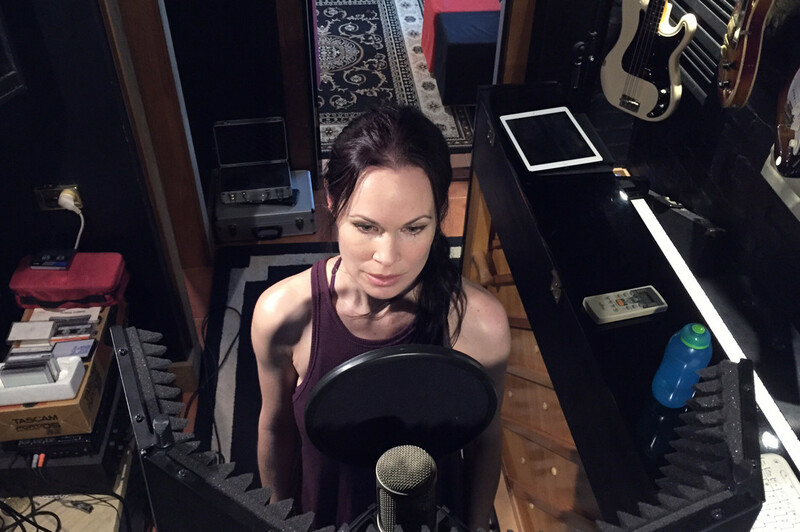 The long journey of recording the debut album begins in earnest in the studio of James North Productions. There will be 10 songs recorded on the CD, including 5 originals. The process is so exhilarating and to be in the creative mindset is very energising. Keep an eye out for information about ‘HAUNTED’. 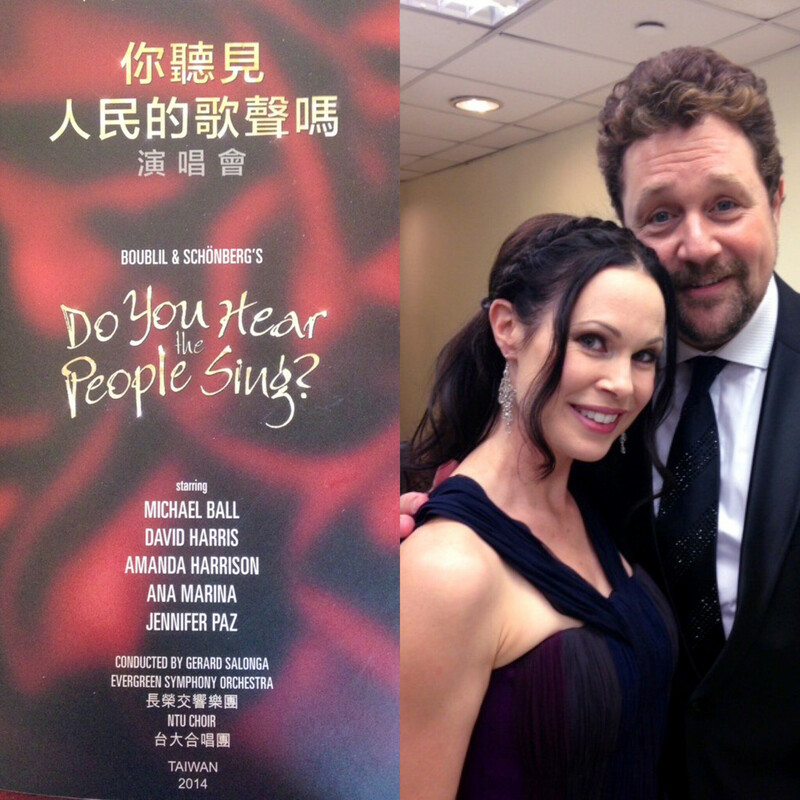 Ana Marina will be joining other music theatre greats like Amanda Harris, Jennifer Paz, Michael Ball and David Harris in Enda Markey’s production of “Do You Hear the People Sing?” In Taipei’s International Convention Centre. Conducted by Gerard Salonga, the concert will feature the great works of Boublil and Schonberg, including the most wonderful songs from the world-famous Les Miserables.